It's about trust when buying tyres. It takes skill and experience to choose the tyre that gives the best performance while maintaining the highest safety standards. Tirendo offers you a wide range of tyres from well-known manufacturers and customer support by experts who will help you buy your tyres online. Whether you want to buy summer tyres, winter tyres or all season tyres - we will help you find what you are looking for. Anyone can sell cheap tyres, but not everyone can offer unparalleled customer service like Tirendo. We focus on quality in everything we do. 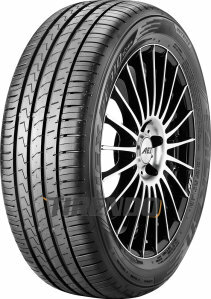 We have free delivery on all tyre orders as well as free returns within 14days. If you are not happy with your tyres, we'll come and pick them up! Buy your tyres online with safe and simple shopping! Tyres play an incredibly important function for your vehicle. They are the link between the car and the road. It is crucial for your safety to have tyres with adequate features and approved tread. Surveys show that car owners normally change tyres every three or four years, depending on how much they drive. It is also important to verify that the rubber of the tyre does not become porous and lose its grip. When did you last check the tread depth on your tyres? Summer should at least have a tread depth of 1.6 millimetres, but for safer driving it is better to change the tyres earlier. Winter friction tyres should have at least 3 mm. Order your tyres from us online and change your tyres in good time before the seasons change. 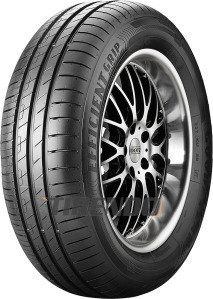 We have a wide variety of tyre brands, from budget tyres to leading brands. To be able to find your tyres as easily as possible, we have divided our selection of the world's leading tyre manufacturers into clear categories. This way, you can always find what you are looking for, whether that is a specific size, a specific brand, or for particular weather conditions. Buying tyres online is easy and convenient when the information is as accessible as it is at Tirendo. ** Free shipping applies to orders within mainland UK. Delivery to Ireland, Northern Ireland, Scottish Islands and the Highlands, Isle of Man and Isle of Wight, and the Channel Islands is not available at this time.